Fox News host Chris Wallace on Monday pushed Russian President Vladimir Putin after the leader brushed off the death of his political enemies. Wallace sat down with the Russian leader in Helsinki, Finland, and asked how come "so many people who were political enemies of Vladimir Putin are attacked?" 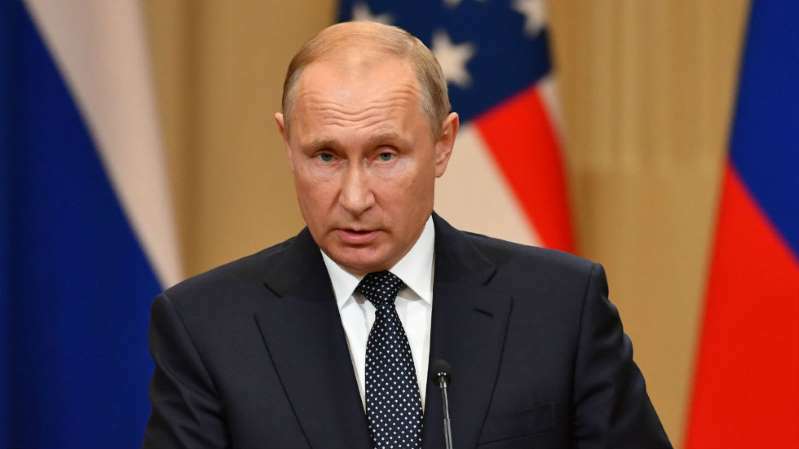 [post_ads]He was referring to the recent nerve agent attack on former Russian spy Sergei Skripal in the United Kingdom and the fatal 2015 shooting of Putin's political opponent Boris Nemtsov. "Well, first of all, all of us have plenty of political rivals. I'm pretty sure President Trump has plenty of political rivals," Putin told the Fox News host. "But they don't end up dead," Wallace responded. Putin pointed out that U.S. presidents and Dr. Martin Luther King Jr. have been assassinated on American soil. "All of us have our own set of domestic problems," Putin said. Two more British citizens were poisoned earlier this month using Novichok - a Soviet-era nerve agent that the British government says is linked to Russia's spy agencies. The U.K. is refusing to provide evidence that Skripal was attacked with a Russian nerve agent, Putin said before calling the accusations "ungrounded." Prime Minister Theresa May's government has accused Russia's government of being involved in both poisoning incidents.